September 25, 2009, Elvis Costello invited Bruce Springsteen to join him for an episode of his fabulous Spectacle TV series. Elvis’ cover (Bruce had yet to take the stage) was just as intense and impassioned as Bruce’s own best performances of the song. Take a listen below and hear for yourself….enjoy. It’s fair to say, for many people from the UK, the DJ John Peel shaped more than one generations musical thinking. He introduced me anyway, to a plethora of sounds that it is doubtful I ever would have heard. He was a rite of passage if you will; but an immediately accessible, genial, humble, life-changing experience…the man was a national treasure, even he was a Liverpool FC diehard. So when I came across this wonderful, touching tribute randomly at the weekend, I wept with joy as I grinned liked the proverbial cheshire cat. 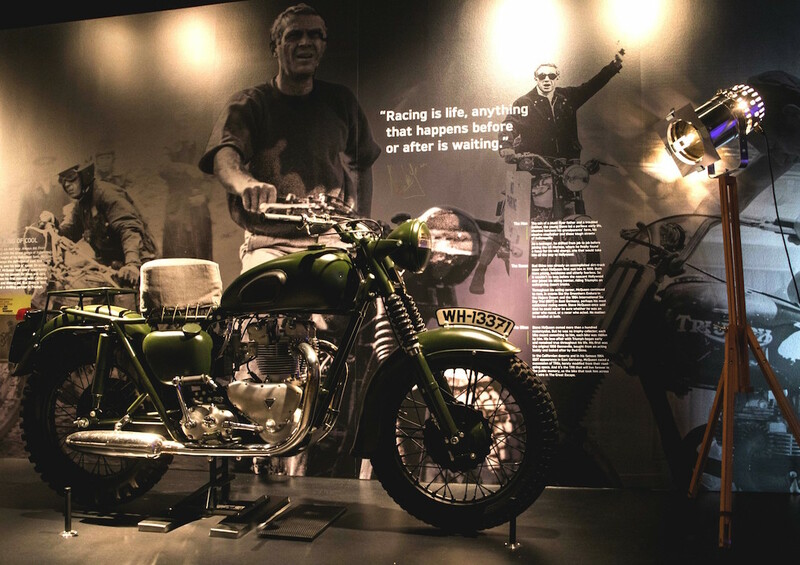 After being used by Steve McQueen in The Great Escape, this bike was used to herd sheep. It then found it’s way into the hands of a different kind of Shepherd….